Welcome to History of Magic. Take a seat. A warm voice greets you as you enter. You look up, and see a young witch at the head of the classroom. Noting the various looks of surprise, the professor smiles. Yes, I'm young. Not every history professor is old and greying. Now hurry, you're all wasting valuable time. You beeline directly to the seat in the furthermost corner, directly next to the aperture. A perfectly good position for daydreaming, and a stunning view of the Hogwarts grounds as well. Suddenly, the curtains snap shut over all of the windows and the room enters semi-darkness, with glimpses of light still peeking through around the side and underneath the window coverings. You turn your eyes back to the professor. She chants an incantation under her breath, and a wispy figure appears from the tip of her wand. The images project like a silent movie, firstly showing a figure charging on a horse, wand raised high as a lightning bolt strikes behind them. Then, a potion-maker having some kind of revelation, overjoyed, and furiously writing. It's like a slideshow of the past. It looks ethereal, and draws you in. All of a sudden, it disappears, and all that is left is the professor. You can learn so much about the present, and so much about the past. But it isn't until you connect them that history truly becomes valuable. I know this subject is known to be complicated, dry, and for many of you, shallow. But it is anything but. There is no limit to the breadth of historical knowledge, and even when one attains that knowledge, no limit as to what they can make of it. That's what I'm here to teach you. Dates and names are necessary evils, but what really matters is the ways of thinking behind what you learn in this classroom. Each term, we will learn about a historical witch or wizard, the history of a nation, and a famous wizarding battle. They will connect in ways you wouldn't expect. She waves her wand once more, and the curtains in front of each window fly open, illuminating the room. You no longer find yourself wanting to stare over the grounds. Class will be updated each week, on a Sunday. Homework for each week will be due the following Saturday. Late submissions are accepted, however they can only earn a maximum of Exceeds Expectations, and earn a maximum of 20HP and 4HC. If you're new to the guild, you have a week to complete any outstanding homework for the term, and will not receive a late penalty. I prefer to receive your homework in an owl, but both avenues are still acceptable. Please make sure your owl is correctly formatted (so that I don't get a migraine) and that you include your name and house in ALL owls sent. You see a brightly coloured balloon float past the window, followed by a few tickets fluttering in the breeze. You wonder who lost them. Snapping you out of your daydream, Professor Nikki directs you towards the textbook page for this week's lesson. France is not only iconic culturally for Muggles - it has immense magical culture there as well. It has it's own Ministry of Magic (a different institution to the British Ministry of Magic that we studied last term, but a similar system exists in both Ministries) as well as a school of magic, Beauxbatons Academy of Magic. The French magical community are also active participants in the Quidditch World Cup, with an almost all-female international team, as well a league with teams such as the Quiberon Quafflepunchers. Wizards from other nations (notably Britain and America) travel to France often, making it a tourism hotspot. Beauxbatons Academy of Magic is a magic school located in the Pyrenees mountains of southern France. It was founded sometime before the 1290s, at a similar time to Hogwarts and the Durmstrang Institute. It takes students not only from France, but from surrounding nations such as Spain, the Netherlands, and Luxembourg, as these nations do not have a wizardry school. As such, a place at Beauxbatons is highly sought after and admittance is an honour. This has been deemed by historians to be the reason why Beauxbatons students often excel in internationally-standardised testing. Beauxbatons has won the Triwizard Tournament sixty-two times. 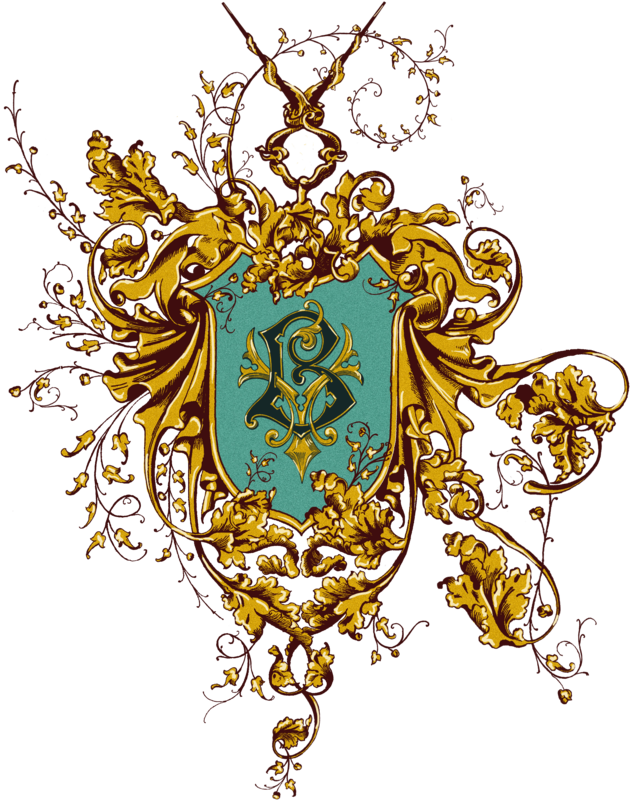 Many famous witches and wizards have passed through Beauxbatons Academy, including alchemist Nicholas Flamel, Headmistress Olympe Maxime, and war hero Fleur Delacour. An honourable mention goes to alum Vincent Duc de Trefle-Picques, who is noted to have escaped the Reign of Terror during the Muggle French Revolution in 1973 by casting a Concealment Charm on his neck, and making it appear as though he were already beheaded. The grounds of Beauxbatons are said to be stunning - a beautiful chateau nestled in the mountains. Parts of the ground that are notable include the Dining Chamber, where Wood Nymphs serenade the students while eating, and the Flamel Fountain, a fountain dedicated to Nicholas and Perenelle Flamel, who met there in their youth. The fountain is said to have healing and beautifying properties to those who come into contact with the water. You enter the classroom, shaken from your recent mystic reading, which revealed the Grim. Your mood is lightened, however, from seeing Professor Kim dunked in the dunk tank earlier today. Professor Nikki quietens the class and, waving her wand, each textbook opens to the page for this week's lesson. Nicolas Flamel is a famous French wizard known for being the alchemist responsible for the creation of the Philosopher's Stone. The Stone's magical properties had and continue to have notoriety for the value they can have to the possessor of the Stone. It produces the Elixir of Life, a potion which grants the drinker immortality (or, more accurately, an extended life - it must be consumed periodically to sustain life). This potion is almost impossible to make in any other conditions and so the Stone's production of it is what made it most valuable. It can also transform any metal into pure gold, making the possessor not only immortal, but wealthy. Flamel's Philosopher's Stone was the only known substance of its kind, before it was destroyed in 1992. Nicolas and his wife Perenelle Flamel met at Beauxbatons Academy in the Pyrenees mountains of France in their youth, sometime during the 1340s. They travelled the world together, using their extended lives to do so, as both Nicolas and Perenelle benefitted from the immortality granted by the Elixir of Life. In the later years of their life, they preferred a quieter life, and undertook residence in the quiet British suburban town of Devon. They would often travel to London to attend the Opera, one of Nicolas' loves. Although the Philosopher's Stone granted the owner infinite wealth, it is the understanding of most historians that the Flamels did not abuse this possibility, and instead lived a humble life. However, there are examples of the Flamels displaying wealth, such as the Flamel Fountain in the Beauxbatons Academy grounds. The fountain is said to have healing and beautifying properties, and so is admittedly lavish, and would have required large expense and effort to create. The overwhelming opinion amongst magical historians is that the Flamels utilised wealth for philanthropic and academic purposes, and so were warranted their 600+ year lifespan. Please answer the following questions about this week's lesson in full sentences and your own words. Long Answer questions require more than 3 sentences. True/False questions require an explanation if the answer is false. In your owl, please include your name and house. Name a Quidditch team from France. Where does Beauxbatons admit students from? True/False: Beauxbatons was the first wizarding school; the others emerged after Beauxbatons was well established. Name a famous witch or wizard who is an alumni of Beauxbatons and outline why they are notable. Long Answer: Examine the historical relationship between Hogwarts and Beauxbatons. Consider elements such as direct competitions, comparisons between students, and links between the alumni of both schools. Extra Credit: Find an interesting fact about the Wizarding community of France that wasn't mentioned in this week's lesson. Name the wife of Nicolas Flamel. What two benefits does the Philosopher's Stone give to its owner? True/False: Flamel was a fan of comedy. Outline the early life and lifestyle of Flamel. Long Answer: Assess the use and destruction of the Philosopher's Stone by the Flamels. Do you believe that they experienced the full extent of the Stone's benefits, or do you believe they could have utilised it differently? Extra Credit: How would you have used the Philosopher's Stone? What would you have spent the wealth on, if anything? Who would you have granted an extended life to? Here is an archive of all previous lessons, for your reference and/or enjoyment. Good morning, class. Professor Nikki takes her seat at the head of the classroom. This term, we're going to be learning about the history of Great Britain and Ireland. We will be studying the history of the nation, a prominent figure in its history, and a major conflict. Today, let's start with developing some general knowledge about the history. Please open your textbooks to page 76. The United Kingdom of Great Britain and Northern Ireland is currently known as one of the most developed and established magical communities in the entire world. With what is known to be the best wizarding educational institution, Hogwarts, and the oldest magical government in existence, the Ministry of Magic (or as it was first known, the Wizards' Council) from the thirteenth century, most historians deem Britain to be the true birth site of magical society. The Ministry of Magic is the successor to the Wizards' Council, which was the first British magical governing agency from around the late thirteenth century (historians still debate the exact year). The Wizards' Council dissolved and became the British Ministry of Magic in 1707, expanding into a wider enterprise and encompassing all aspects of wizarding life. Whereas the Council had been a disciplinary and lawmaking body, the Ministry became an institution that regulated all aspects of magical life including education, judiciary, production and media. This was due to the demand of such a body, especially after the International Statutue of Wizarding Secrecy came into effect - there needed to be a responsible and comprehensive body that would prevent and punish betrayals. Hogwarts, established prior to the creation of the Wizards' Council, was not under its influence other than it being a body that the Headmaster of Hogwarts could correspond with regarding dangerous or illicit activities in extreme cases. At the dissolution of the Council and formation of the Ministry in 1707, this changed, and Hogwarts (and a number of other institutions around the country) were forced under the direct influence of the Ministry. The most famous case of government meddling in educational affairs is in 1995, where current Minister for Magic Cornelius Fudge forces the hire of his Senior Undersecretary, Dolores Umbridge, into the position of Defense Against the Dark Arts teacher, High Inquisitor, and temporarily headmistress. The first Minister for Magic was Ulick Gamp, upon the formation of the Ministry. His successor was Damocles Rowle, known for his strict stance on Muggle-Wizard interactions, as this was shortly after the International Statute of Wizarding Secrecy was sworn into effect in 1692. He is best known for introducing Azkaban as a wizarding prison and allowing Dementors to serve as guards, a decree that stayed in place until Kingsley Shacklebolt's Ministry in the 2000s, when the Dementors were removed and replaced with Aurors. The first female Minister for Magic was Artemisia Lufkin, who rose to the position in 1798 and stayed there until 1811. We will learn more about Lufkin next lesson, as she is our prominent personality for this term. The only other female Minister for Magic since was Hermione Granger, elected in 2019. Hogwarts School of Witchcraft and Wizardry was founded around 990A.D. in the highlands of Scotland. 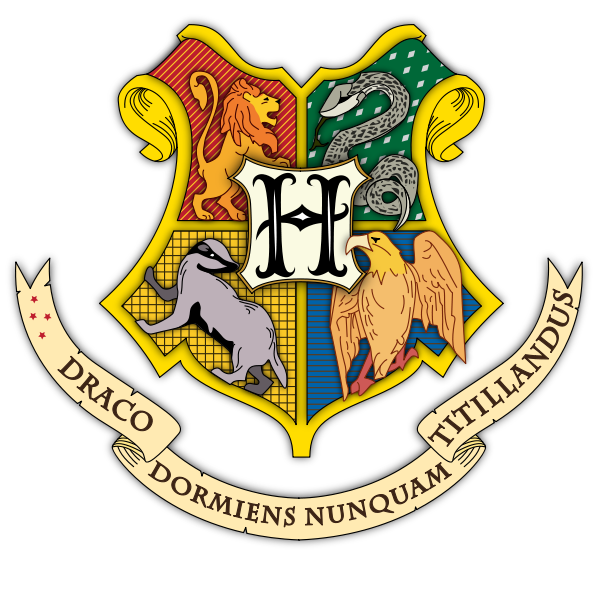 The four founders were Godric Gryffindor, Rowena Ravenclaw, Helga Hufflepuff and Salazar Slytherin, after which the four student houses are named. Based on historical estimations, Hogwarts is the oldest magical educational institution, although debate exists over the founding year of Durmstrang in the Nordic region of Europe, which was close to the founding of Hogwarts. One of the biggest historical debates regarding Hogwarts surrounds the legend of the Chamber of Secrets, now proven to be true. Legend told of a chamber created and sealed by Salazar Slytherin shortly before his departure. Slytherin left the school over disagreements about the student admissions; he believed that only "pure-blood" students (coming from all-magical families) should be admitted into the school, whereas the other founders encouraged the education of half-blood and muggle-born students. Supposedly, the Chamber of Secrets contained a monster that would purge the school of all those deemed unworthy to study magic when the heir of Slytherin returned to the school. This was later revealed to be Tom Riddle (otherwise known as Lord Voldemort), who opened the Chamber twice, once during his own schooling in 1939, and again via an enchanted diary opened by Ginny Weasley in 1992. The monster was a Basilisk, and was defeated by Harry Potter. The school contains a number of magical artefacts which are deemed to be significant to its development over time. The first is the Quill of Acceptance and Book of Admittance, which are locked in a tower and used to determine which children are witches and wizards, in which instance, they receive a Hogwarts admissions letter. They sit together in a locked tower, only ever seen by headmasters, and not touched since it was originally placed there by the four original founders upon the completion of Hogwarts castle. The second important artefact is the Hogwarts Pensieve, which was discovered half-buried by the founders in the grounds of what was to become Hogwarts. It is a unique Pensieve, with special engravings around the side, and memories have been deposited by each Headmaster as they go through the school, meaning that current Headmasters can draw on the experiences and wisdom of all those who came before them. The third and final significant artefact is the Sorting Hat, enchanted by the original founders to delve into the minds of the students, determine their potential and decipher their traits, and sort them into the respective house so that their talents may flourish appropriately with like-minded students. The Sorting Hat continues to be used in Hogwarts to this day. Continuing on from last week, class, we'll be looking closely at one of the historical personalities studied as part of our lesson on Great Britain. If you turn to page 149 in your textbooks, you'll see her profile. Please read through and answer the questions on her corresponding homework page. You follow the directions of Professor Nikki, and see a page with a large photo of a witch, and the title Artemisia Lufkin. Artemisia Lufkin was the first ever female Minister for Magic, who took the office from 1798 to 1811. She is one of the only Ministers in history to not be elected democratically (even if that only included a vote within the Wizengamot). This is because of her husband, the Minister before her. He expressed that she was to be his successor before his death defending French purebloods from being executed via the guillotine in the muggle French Revolution of 1789 onwards_ Although many did not want Artemisia appointed, the wizarding community didn't wish to disrespect the wishes of their former Minister. Artemisia was a capable and well educated woman, and she was the best-case scenario for most wizards, considering that an election of another Minister in the depths of a savage muggle war would not be possible. Regardless of these facts, upon her appointment, many of the older and more powerful wizards in the Wizardgamot resigned from their posts in protest. Artemisia grew up in England, with at least one known magical parent. This makes her either a half-blood or a pureblood (most historians believe that she was a pureblood, as a half-blood female minister would definitely not have been allowed). She attended Hogwarts from around 1765 to 1772, and was sorted into Hufflepuff house. Artemisia is known as one of the most iconic Hufflepuff alumni, and this is because her qualities shined through into a number of incredible achievements as Minister. She is most well known for her work at improving wizard-goblin relations. She promoted and signed the Goblin Treaty on behalf of all wizards, which signified an agreement to maintain civil to and respect one another. This agreement indirectly led to one of Artemisia's successors putting the power of Gringotts Wizarding Bank back into the hands of goblins. This was a very significant moment for wizard-goblin relations which ended a lot of hostility, as it gave the goblins a livelihood and recognition of their original creation, and it was a direct consequence of something that Artemisia advocated for during her time as Minister. Artemisia is also known for establishing the Department of International Magical Cooperation, one which we know now to be responsible for maintaining magical relationships through programs such as the Triwizard Tournament. She campaigned heavily to have a Quidditch World Cup occur in Britain during her time as Minister, and succeeded, bringing tourism to Britain and repairing the economy (which was in tatters before her term due to the war). Artemisia served for 13 years as Minister, retiring in 1811, and was succeeded by Grogan Stump. Witches' suffrage was introduced in 1921, over 60 years after Artemisia's death. Take a seat, class. This week, we'll be moving in a different direction. Whereas earlier this term we focused on the distant past, we will be looking at some modern history today. Our focus for the final lesson of the term will be on a major magical conflict, and we will be studying the Second Wizarding War. This is known as one of the most brutal battles of history, mainly because of the ideological stakes and loss of talent. If you open your textbooks to page 92, there will be more information. Read it through and answer the questions in the corresponding homework section! The Second Wizarding War was a major conflict that occurred between 1995 and 1998. It occurred due to the conflicting forces of Lord Voldemort and his army of supporters, known as Death Eaters, and the Ministry of Magic (supported by members of the Order of the Phoenix and Hogwarts). The conflict broke out over Lord Voldemort's pursuit of Harry Potter, a wizard who he had pursued with the goal of murder for several years. This was due to the fact that Potter had been the only known survivor of the Avada Kedavra Curse and caused his downfall and the end of the First Wizarding War. There was also a broader goal of gaining control over the Ministry of Magic and, by extension, the entire wizarding world. The first official event of the Second Wizarding War is seen most commonly by historians to be the Battle for the Department of Mysteries. The battle began over a prophecy by Sybill Trelawney regarding Lord Voldemort and Harry Potter, containing, at the time, an unknown piece of information that was seen to give the possessor an advantage in the inevitably upcoming war. Potter and his friends (Ron Weasley, Hermione Granger, Ginny Weasley, Neville Longbottom, and Luna Lovegood) were lured to the Department due to the implantation of a fake vision into Potter's mind of a captured relative, Sirius Black (his godfather), being tortured. Potter retrieved the prophecy (as the only person other than Lord Voldemort that could remove it from its place) and the students were chased from the Hall of Prophecy as a consequence by a group of Death Eaters led by Lucius Malfoy. They were joined by members of the Order of the Phoenix shortly after, including Sirius Black, Remus Lupin, Alastor 'Mad-Eye' Moody, Nymphadora Tonks, and Kingsley Shacklebolt. Albus Dumbledore joined the fight shortly after, and Voldemort was exposed as indeed being reborn to Cornelius Fudge, Minister for Magic, and several Ministry workers. This is why the event is considered the starting point of the war. The main battle of the conflict is the Battle of Hogwarts, which occurred in 1998. The battle broke out due to Potter's need to enter Hogwarts, previously under Death Eater control, to retrieve one of Voldemort's Horcruxes hidden within the castle. After Severus Snape abandoned control of the castle, Minerva McGonagall and other members of the Order of the Phoenix prepared to defend it against an impending Death Eater attack. The battle began with a wave of Dark supporters, including a variety of creatures including wizards, giants, and dementors. Heavy impact fell upon Hogwarts castle, with much of the infrastructure being destroyed. There was also a heavy loss of magical life, with around 60-70 known deaths, including Bellatrix Lestrange, Severus Snape, Fred Weasley, Remus Lupin, and Nymphadora Tonks. The battle ended with the defeat of Lord Voldemort by Harry Potter, in an instance of priori incantatum. What is not mentioned as much as the sequence of events is the loss of muggle life involved in this conflict. Over the course of the war, an unknown number of muggles (in the hundreds) were affected by the war, especially the collapses of the Millennium and Brockdale Bridges. It was the Death Eaters' and ultimately Voldemort's disregard for and hatred of muggle life that allowed this attempted genocide to occur, and many historians agree that should the dark side have won the Battle of Hogwarts, the attempted genocide may have turned into an all too ugly reality.